Several years ago, my husband, Keith, and I traveled to Germany to tour the Bavarian countryside. We decided to rent a car and travel the back roads of southern Germany and northern Austria. My father advised us to get a good map once we arrived. We didn’t heed his advice. Instead, we found a guidebook in a secondhand bookstore. How much could have changed in a few years? we reasoned. We navigated the Romantische Strasse without any issues, winding our way through the forests and mountains of Bavaria. We oohed and aahed over every castle and church dotting the landscape. Our luck ran out in Salzburg, where we narrowly escaped catastrophe thanks to my husband’s quick reflexes. What was once a road (according to our old map) was now a pedestrian walkway. Fortunately, we didn’t hit anyone. We smiled and waved and tried to ignore the glares from the locals out for a stroll as we quickly pulled onto the nearest street. It was apparent our map no longer reflected the town’s terrain. Dad was right; we needed a good map. In many ways, I feel the same about the cultural and spiritual landscape in North America. The world has changed since I was a kid. I remember a time when all my neighbors went to church. Now, not so much. I no longer assume the people I meet grew up attending church. I’ve had to update the internal maps I use to navigate this world and the relationships I develop. Churches are experiencing this dramatic shift as well. Fewer Americans identify as Christian, and the frequency of church attendance has slowed. The average American knows more about the Star Wars universe than the story of Scripture. We now live in a post-Christendom age where the church is no longer central to American life. Ministry in the 21st century often feels like uncharted territory for many church leaders. For this issue, we decided to take a deeper dive into the post-Christendom era we’ve entered. 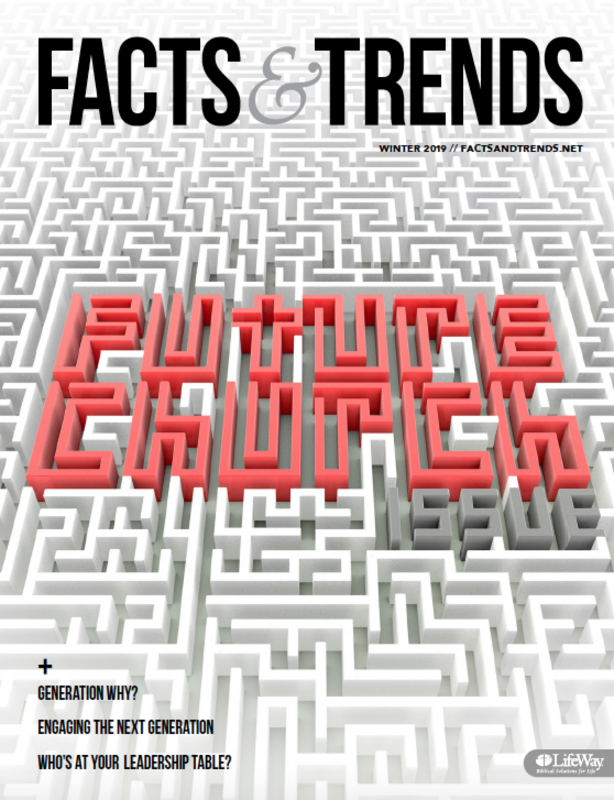 We talked to several church leaders to find out how churches can thrive in this new world. We also reached out to churches in different parts of the United States to find out how they’re reaching their communities and spreading the gospel around the world. The church faces new opportunities and challenges in 2018 and the years ahead. She needs pioneering leaders who can help God’s people navigate our changing mission field while keeping Jesus Christ and His Word as our true North. CAROL PIPES (@CarolPipes) is editor-in-chief of Facts & Trends.